Why did Columbia’s SIPA aid and abet misogynist Saudis? Whether Saudi Arabia takes the seat it just won on the UN Security Council or not, human rights groups all agree: it was a scandal for the brutally misogynistic, intolerant, homophobic, anti-Christian, Judeophobic, Wahabist regime ever to have been elected in the first place. Which ought to raise an ethical question for Columbia University’s prestigious School of International and Public Affairs (SIPA): Was it right for the school to design a year-long “Saudi Arabia UN Security Council Executive Studies Program” — exclusively for Saudi officials — to help the bigoted regime promote its interests on the world stage? When SIPA heard that the world’s most misogynistic regime sought a seat on the UNSC, why was their first reaction not like that of the human rights groups — to strongly protest? 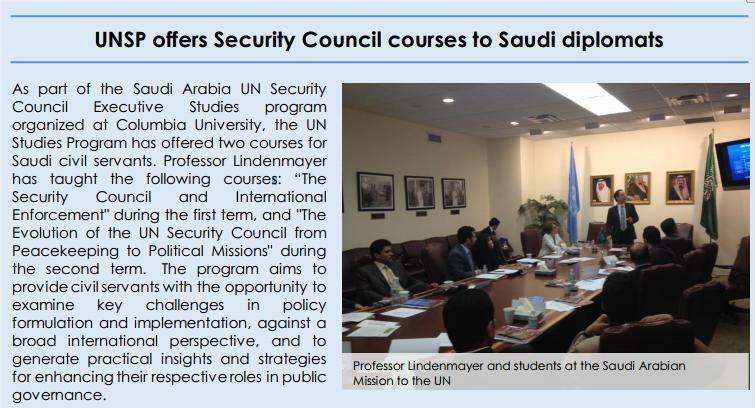 How much money and other benefits did Columbia and SIPA get from the Saudis for giving them special courses, which included training in “Managing the Media and Public Relations” by Professor Kristian Denny Todd? It’s one thing for a school to allow any student to attend a course — and quite another to design an entire program for a regime notorious worldwide for gross and systematic human rights abuses. If Columbia did what LSE did with the Qaddafi regime, should the relevant Columbia officials resign, as LSE’s did? Should universities operate under the same ethical guidelines as Washington lobbyists? Dear Friends and Human rights Defenders. As we all read these days, the Government of Sudan has intensified attacks against the civilians in the IDP Camps all over the Darfur region. The newest was on Friday, Oct. 19, 2007, at Kalma Camp, which is about 17 km from the South Darfur Capital of Nyala. Three people have been killed and more than ten injured — all of this at a time when the international community is trying to send peacekeeping troops to Darfur. I don’t know how long it will take them to reach Darfur, or how many people will die until they respond. We all know how difficult is the situation of the IDPs — these people need protection from the Sudanese regime. Right now as I’m writing this news there is an attack in Zalinge, in western Darfur. I was talking to some people in the IDP camp, where the attackers are still in the camp. I was told that the Sudanese Forces were killing four men and many others were injured. I have asked the IDPs to tell me the names of the people who have been killed but they cannot go out because the police and the Janjaweed are still in the Camp. It’s very sad. This is happening as the international community is preparing for the Libya Final Settlement talks between Darfur’s rebel groups and Khartoum. I’m asking you all to spread this news wherever you can. Help us to stop the suffering of these people. Also, I’m calling on the international community to stop the ongoing genocide in Darfur. Thanks a lot — God bless you all, Amen. Neuer expressed concern that “the West is silent as Libya is quickly acquiring a series of new and important UN posts — including its unanimous August election as head of the UN’s “Durban II” anti-racism process through 2009 — even as its record on human rights remains appalling.” The UN and African Union will meet in Libya at the end of the month for Darfur peace talks.